This is lovely; slightly bitter orange peel with plump peaches and a touch of honey, cut through with a strong mineral streak. Delicious dry wine. I could see this working well with pork, possibly with fruit – either belly or a chop sounds about right. 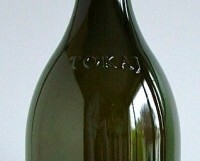 Dry Tokaji tend to get overlooked in favour of the sweet versions, but they can be very good. The best often have a hint of Chenin Blanc with their honeyed note and mineral acidity, alongside some mouthwatering stone fruits.